Welcome To Simiety Vintage Theater! Simiety Vintage Theater was founded by the famous jazz musician, Barren Bon Simiety, and it is the birthplace to many new upcoming jazz musicians and bands.This theater was built during the 1950's but had been closed down due to a "Hippy" pandemic in the late 60's. 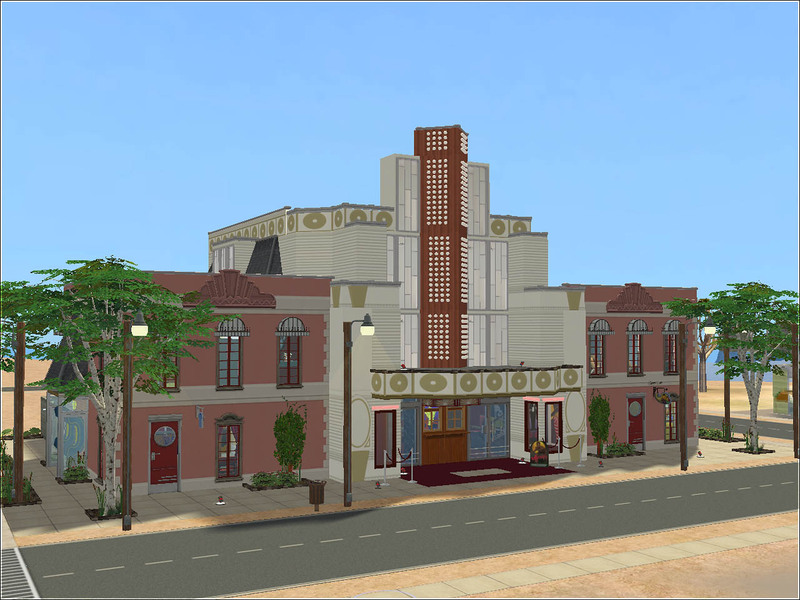 Barren Bon Simiety decided to buy the theater in his glory years of the 1980's, and now it is famously known to nearly every Sim around, from Strangetown to Simcity! The completely refurbished theater now has a bar area to relax and listen to the smooth sounds of the music from the stage. 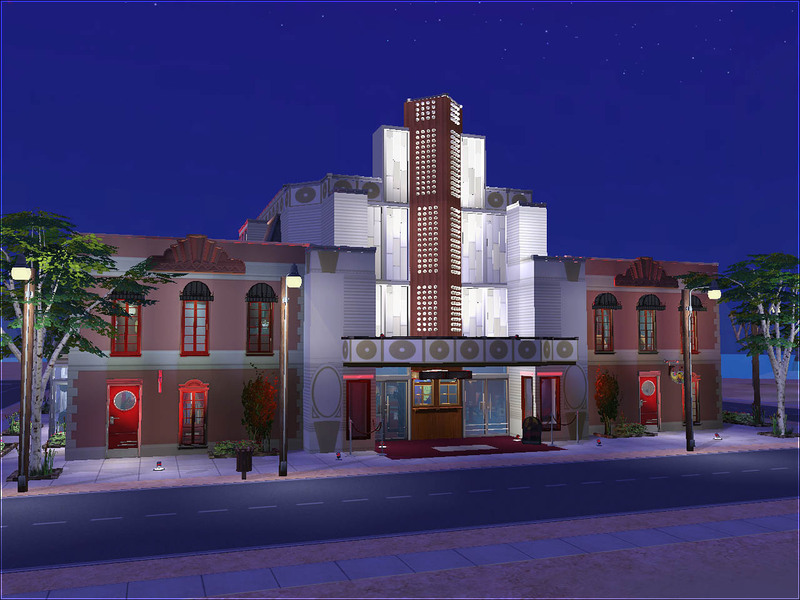 There is also a resturant where only the finest chefs are here to cater your vintage taste buds, and a mini cinema, showing only the best Sim movies of all time. Looking for the latest vintage fashion? 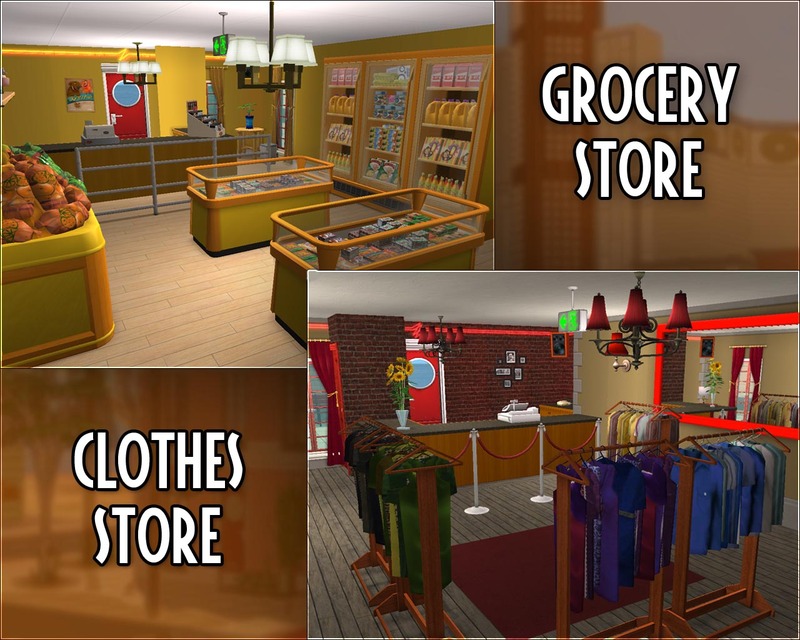 Theres is a beautiful clothes shop next door, along with a grocery store. So what can my Sims do in this lot? 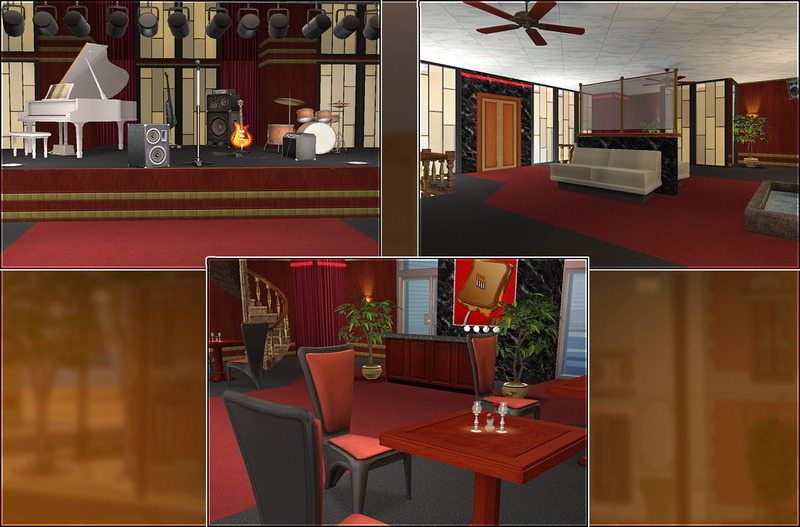 - Yours Sims can jam out on the stage, fully equipped with instruments to entertain others! 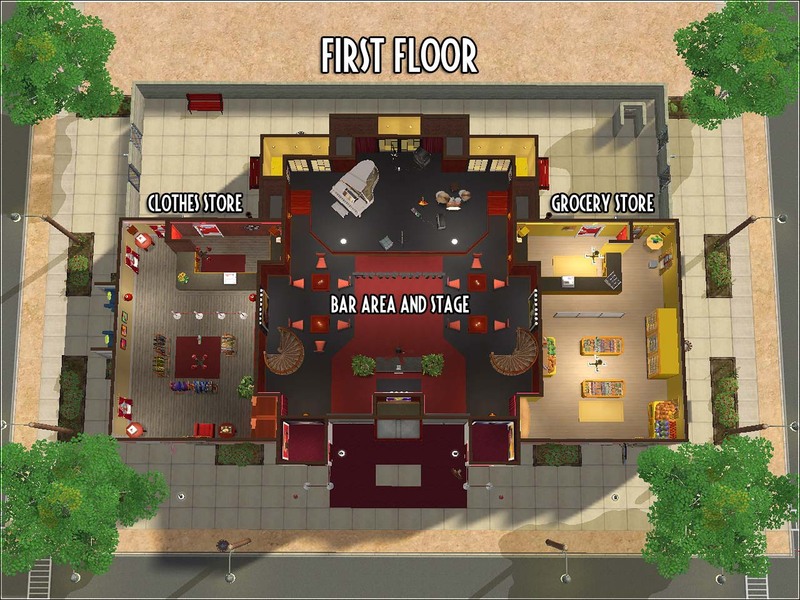 - Sit down and have a drink in the Bar Area whilst listening the music. 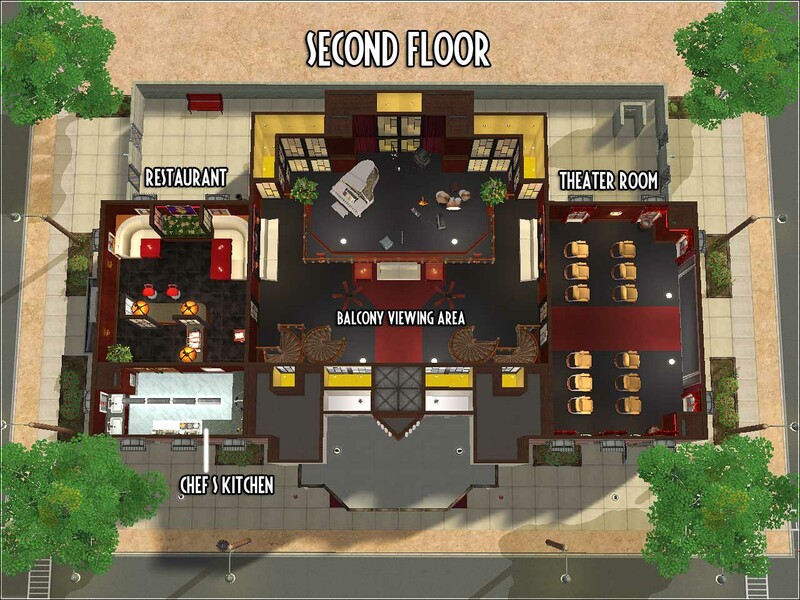 - Take the elevator up to reach the resturant for when your Sims get hungry. - Not in the mood for music? 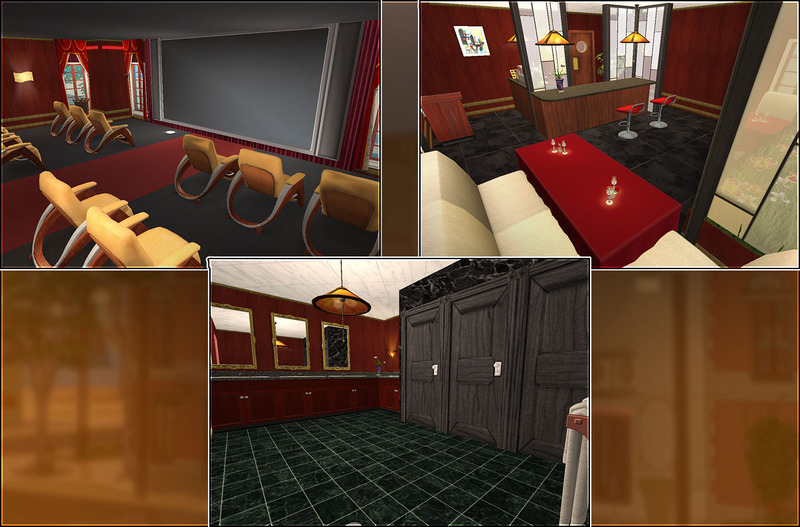 Then come and relax in the mini cinema room, where your Sims can watch all-time classics while laying back on the comfy recliner seats! 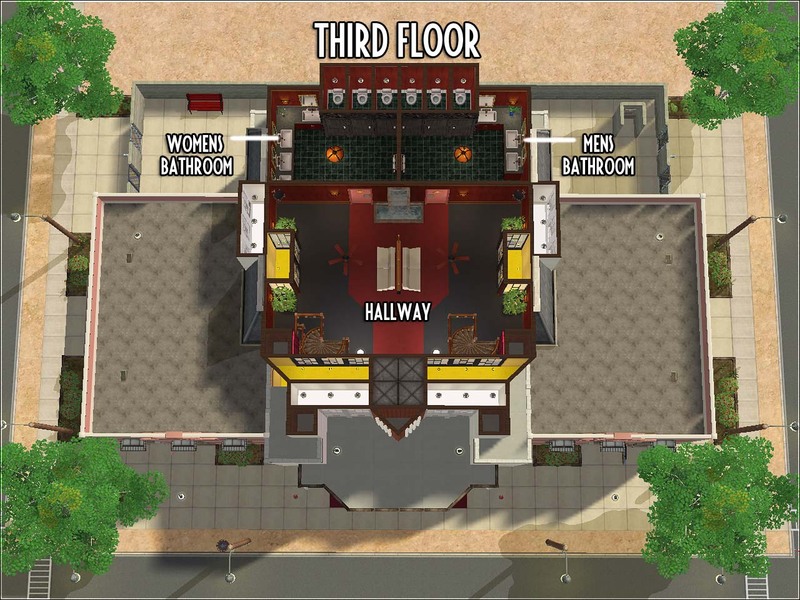 - Your Sims don't have to worry about peeing on the floor, because there are glamourous bathrooms on the third floor! - Grab a few groceries on your way home from the late night music sessions! This lot is perfect for smaller neighbourhoods and if you don't want to put a big clothing store lot and a big grocery store lot which clog up your small neighbourhoods! I hate using a pile of CC in my game, since I'm a Maxis-Match player, but I did use a few objects that I needed, but, of course, it was kept at a minimal! So that means there isn't a pile of stuff you don't really want clogging up your Downloads folder! 1677 people have said thanks to TheGuySim for this download.